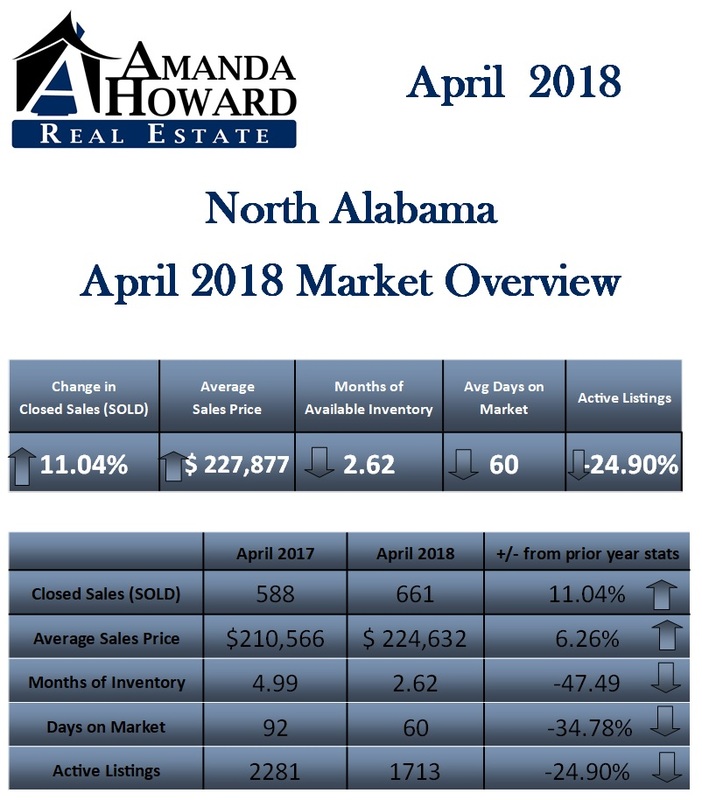 The market numbers for April 2018 are in, and I want you to be the first to see them. On today’s episode of “Monday Morning Coffee,” we are discussing the market numbers for April 2018. In comparing last year’s stats to this year’s, we’re continuing to see an increase in sales and home values, while seeing a decrease in the available inventory. Our North Alabama residential sales overall totaled 661 homes, which represents an 11% increase in sales compared to the same period last year. We also saw an increase in the average sales price by more than 6%, coming in at nearly $225,000. Additionally, the average list price for our Huntsville-Madison area is just over 5%, sitting at $228,000. How long does it take to get a home off the market? Well, the average days on market decreased by 35%, taking us to a jaw-dropping average of 60 days on the market. We’re currently looking at two months of available inventory, which verifies that we’re still in a strong seller’s market. It also means we continue to have more buyers looking for homes than we have available. For sellers, this is great news. Buyers, on the other hand, need to make sure that they’re acting fast and working with a specialist to make their offers strong so that they can win the best homes. As for the first quarter review, the real estate industry performed at record levels. Sales of residential properties in the first quarter of 2018 increased significantly compared to 2017 and prior years. New listings of properties for sale have grown at a slower pace compared to the sales, resulting in a continued decline in properties listed for sale. Average and median sales prices continued to rise with the increased number of transactions. I’ve also included a detailed breakdown of the market numbers for you in the chart below. To view the entire first quarter report of 2018, please click here. 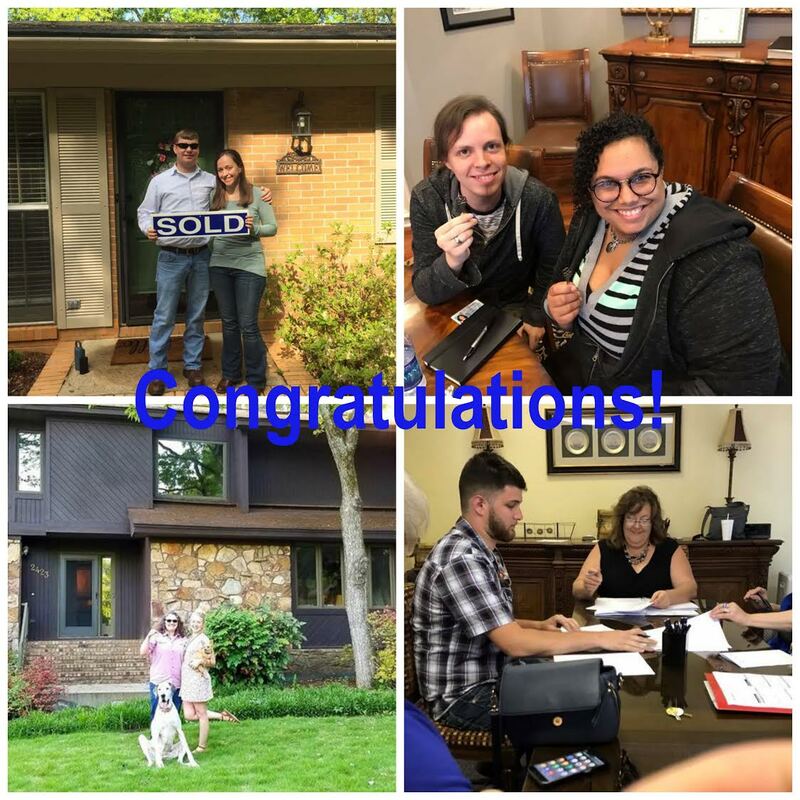 If you or someone you know is interested in buying or selling a home, please feel free to reach out to us. We’d be happy to help! Mr. and Mrs. Franklin and Karen Newsome Jr.